President Donald Trump's new steel tariffs could add half a billion dollars to the cost of a natural gas pipeline in Alaska, Sen. Lisa Murkowski warned at an oil conference in Houston on Friday. "This is a big deal up north. … The back-of-the-envelope numbers is that with these tariffs, we might be in a situation where it's not only hundreds of millions, it might be as much as a half a billion dollars added on to the most expensive infrastructure project that we have seen in this country. … This has real impact," Murkowski said while speaking on a panel at the CERA Week energy conference, alongside Sen. John Cornyn, R-Texas. Murkowski was talking about Alaska's ongoing efforts to build an 800-mile liquefied natural gas pipeline, as well as infrastructure for potential drilling projects. "Where are we going to get that pipe?" she said. On Thursday, Trump signed off on a 25 percent tariff on steel imports and 10 percent tariff on aluminum imports, with exemptions for Canada and Mexico. Murkowski, who said she was surprised by Trump's quickly announced decision, joined other Republicans and many economists who worried about the impacts of a trade war that could result from imposing steep tariffs, particularly on U.S. allies. 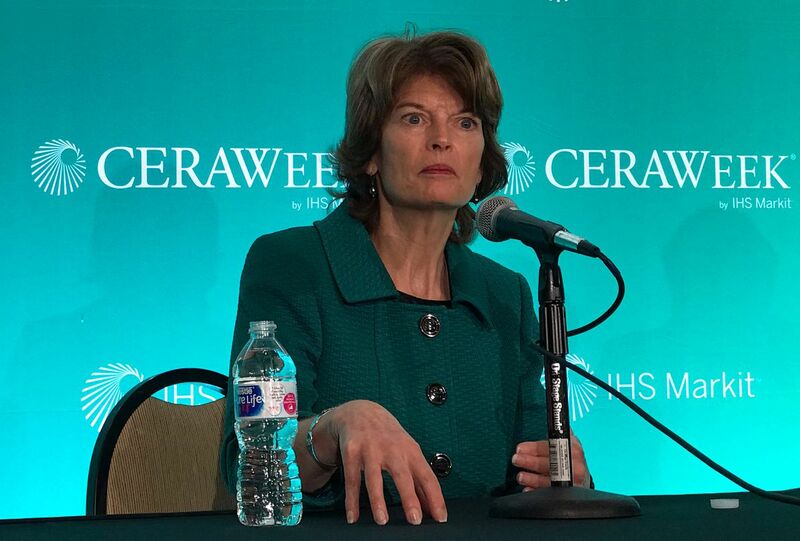 "And at a time when again we're trying to build out on that energy promise that we have, whether it's up north or elsewhere around the country – this is not coming at a good time for us," Murkowski said. Alaska Republican Sen. Dan Sullivan cast similar warnings earlier in the week. He also joined with six Republican colleagues in a letter to Trump on Thursday urging him to reconsider the tariffs, citing "international stability and the national security of the United States." Murkowski said that the "great news coming out of the U.S. energy sector" is "just being overshadowed by the news of these tariffs," and that it sends "a confusing message to some of our friends and our allies that we want to encourage and we want to bolster." The concerns come on the heels of a proposed gas line deal inked in November by the state of Alaska, the state's gas pipeline agency, the Alaska Gasline Development Corp. and Sinopec, China's state-owned bank, among others. The plan is for Sinopec to help design and build the project, and for 75 percent of the Alaska gas to be sold in China, as early as 2024. The parties signed the deal in Beijing on Nov. 8, when Alaska Gov. Bill Walker joined Trump on a trip to visit China's President Xi Jinping.